This past weekend I was in Dallas attending my 6th annual #rStheCon. I actually flew out a few days early to catch up with girlfriends, see my hair stylist, and try on wedding dresses (SO. MUCH. FUN). 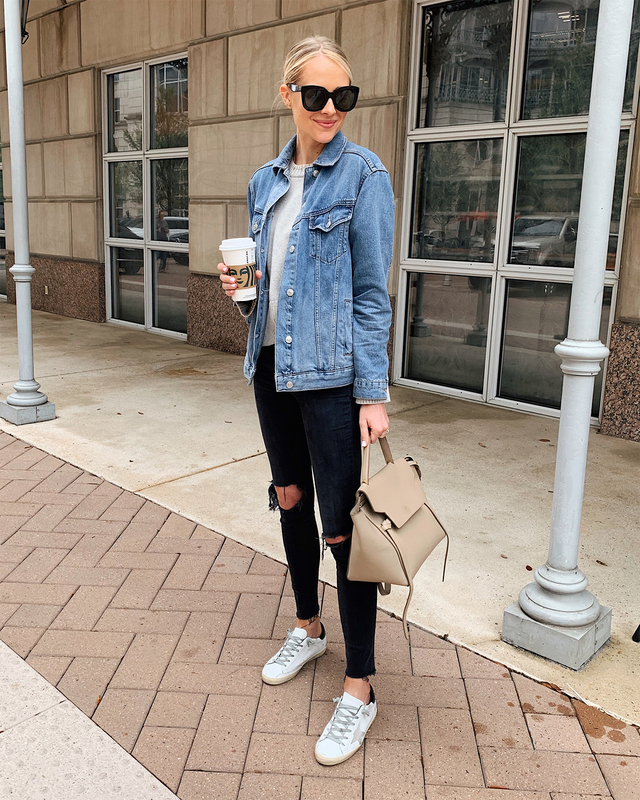 If you follow me on Instagram, you're probably already aware of my weekend in Dallas, but if not, let me quickly tell you a little bit about what the rewardStyle conference is and how it helps my business! The rewardStyle Conference is an invite-only conference for top-tier bloggers. It gives us the opportunity to learn more about the industry, meet with brands to build long-term relationships, network amongst peers, gain insight and attend classes to better help build and grow our individual businesses, and of course attend some pretty fun parties. 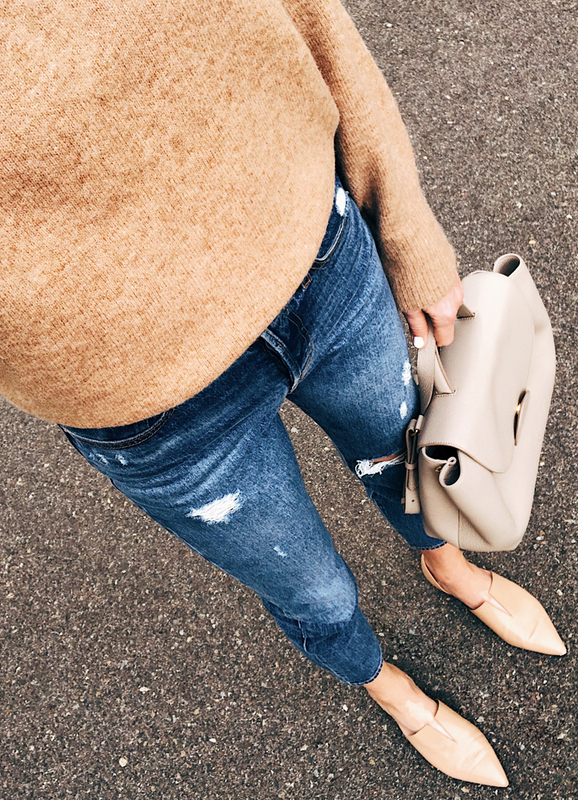 I'm sure most of you aren't as familiar with rewardStyle, but you are with LIKEtoKNOW.it. rewardStyle actually created LTK as a way for readers to shop our posts via social media and more recently launched the LTK App. 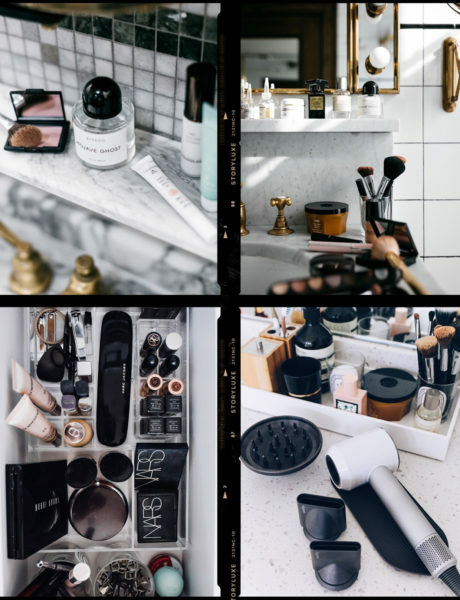 This is your one-stop-shop where you can search & shop your favorite blogger's outfits, beauty favorites, home decor, as well as search for specific products. (Tutorial on how to use the App here). My entire trip was 6 days/5 nights. The weather is always pretty fickle during the month of April in Texas. Previous conferences we've had extreme heat, thunder storms, tornados, and the occasional perfect weather. The forecast called for rain, so I knew I was going to bring more casual & comfortable styles. I don't typically buy new outfits for the conference, maybe a couple new pieces here and there, but I prefer to stick with my true style and wear my favorite pieces. I actually only brought three new items with me, can you tell what they are? 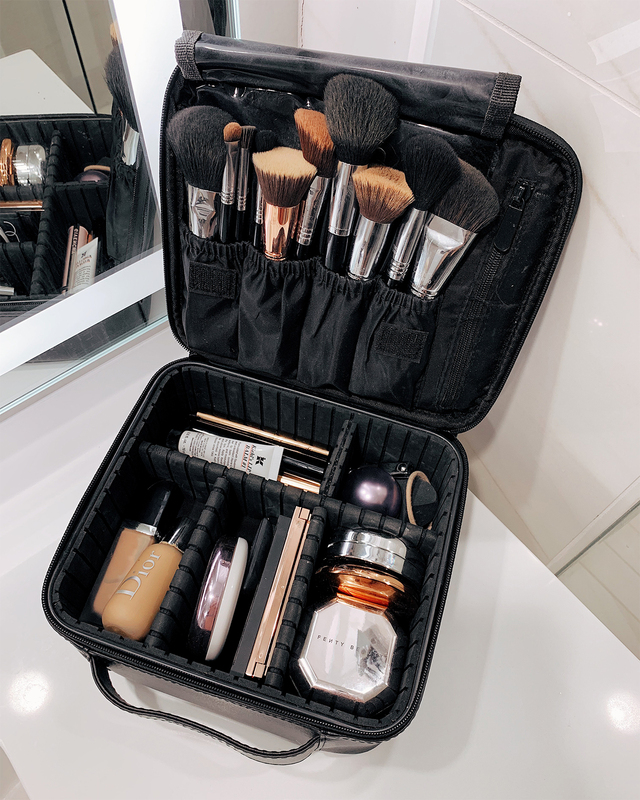 I bought this cosmetic travel case earlier this year and it was the best $25 I've ever spent! It holds EVERYTHING I need to bring with me, including my makeup brushes. 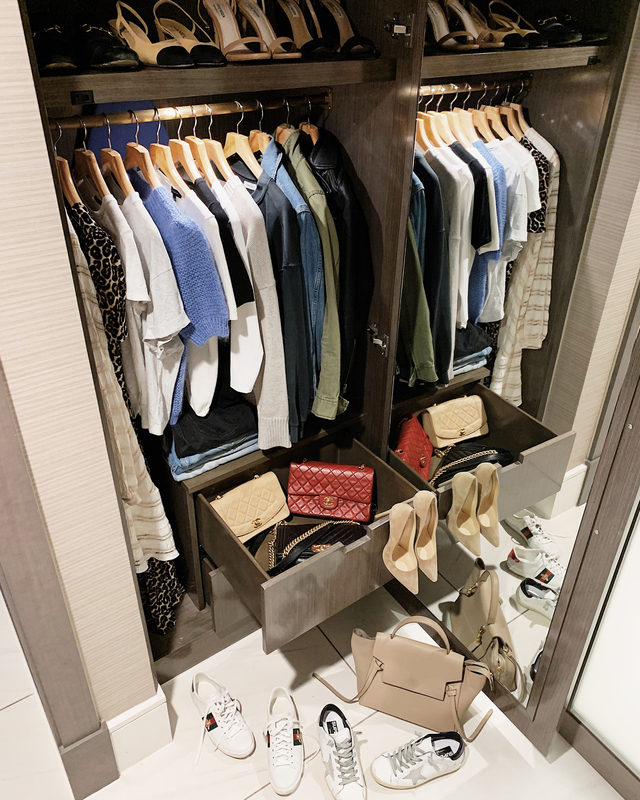 It's held up so well, and keeps everything super organized and protected while traveling. I typically store my perfume bottle in the case to keep it from breaking during travel. The other travel case I have been loving is from Truffle. They have a ton of clear organizers of all different shapes and sizes. I have these pouches in the large, small, and mini. 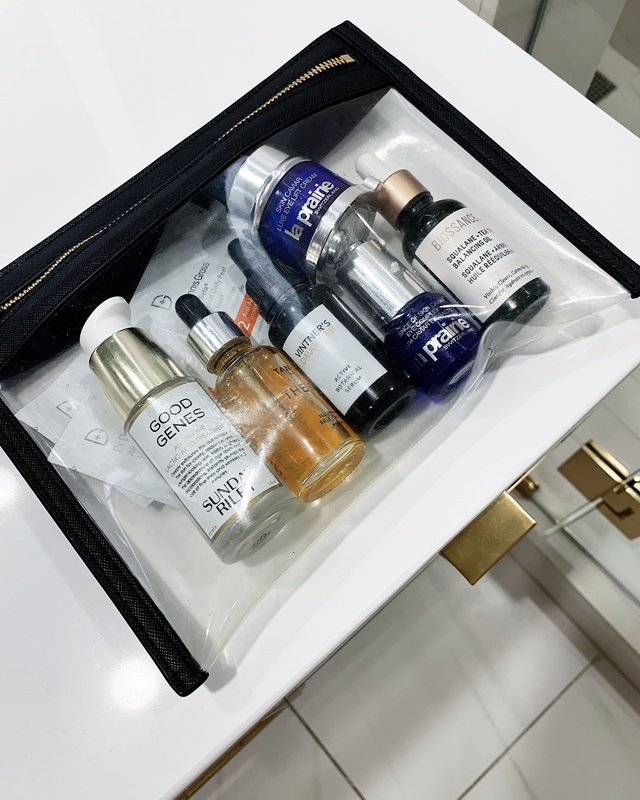 This small one is great for storing my serums, face oils, eye creams, and I usually just carry it on since everything is within the approved size. 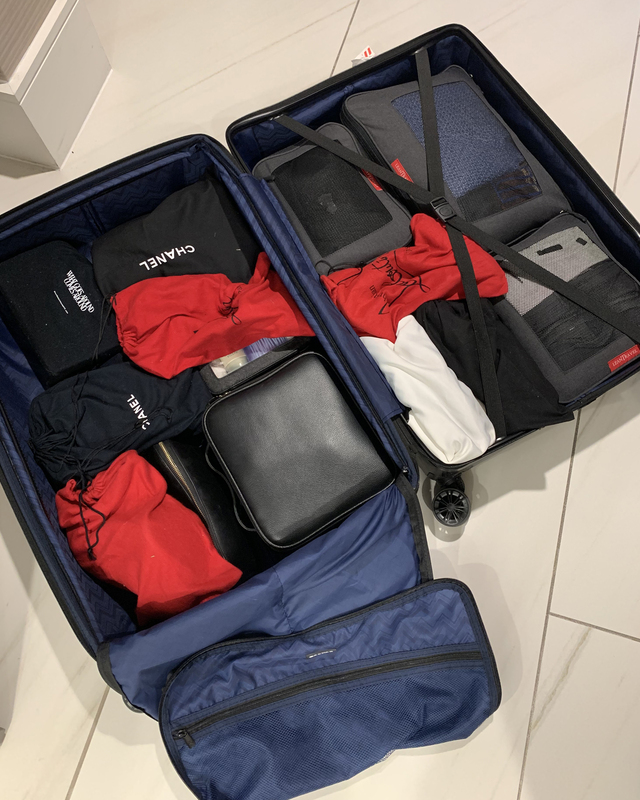 I tried to keep my packing to a minimum and kept in mind I would re-wear a few items during my stay. I ended up packing 3 jackets, 4 pairs of jeans, 2 sweaters/sweatshirts, 4 tops, 3 tshirts, 2 dresses, 2 pairs of sneakers, 5 heels/sandals, 4 handbags, and 1 belt. There were a few pieces I didn't end of wearing, but not too many. I like to have a few extra options that way if I'm not in the mood to wear a certain style, I have an alternative. 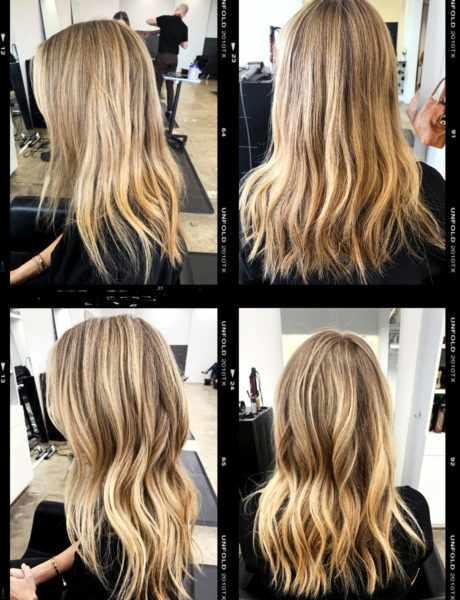 The first three days I was in Dallas, I spent going to meetings, catching up with girlfriends, getting my hair colored, and trying on wedding dresses. Again, I kept things very casual and comfortable. This green utility jacket is always a favorite of mine during spring, and I think I wore it the most during this trip. My two newest pieces are from Anine Bing, surprise surprise. I'm obsessed with her new spring line this year! As soon as I saw this gorgeous blue sweater, I knew it would be a great staple to have. I loved pairing it with blue jeans for a more head-to-toe blue outfit. The other item, this white dress is the perfect amount of feminine and when paired with sneakers and a leather jacket adds the right amount of edge. The conference technically started on Thursday night with a pool-side welcome party, but after a long (and fun) day of trying wedding dresses, I was pretty worn out and just wanted to catch up with a girlfriend for dinner. Friday morning I wore the blue outfit, and Friday night to the eBay cocktail party I wore the white dress & leather jacket. Saturday morning I woke up to dark grey skies and a huge thunderstorm. Casual/comfy it was! I'm super happy I didn't have all my outfits pre-planned because I was able to be more flexible due to the weather for Saturday's morning meetings. Also - mastering the low bun is key because I didn't have to worry about curling my hair and dealing with the humidity! Styled my green utility jacket a little different and threw on a pair of comfortable sneakers. Saturday night was the finale party, which the rS team really goes all out for. But again, this being my 6th conference, I was looking to just be comfortable but still show my personal style. You might recognize this leopard dress (similar here); I wore it last month on the blog. Originally I paired it with these heels (as pictured), but ended up putting my Gucci sneakers on right before heading out the door. That was the best decision! I added a leather jacket for warmth and also to dress up the look just a bit. The party was so fun and it was a great way to end the conference. Sunday was another dreary day, and I was ready to head back home, but not before going to brunch with some girlfriends. 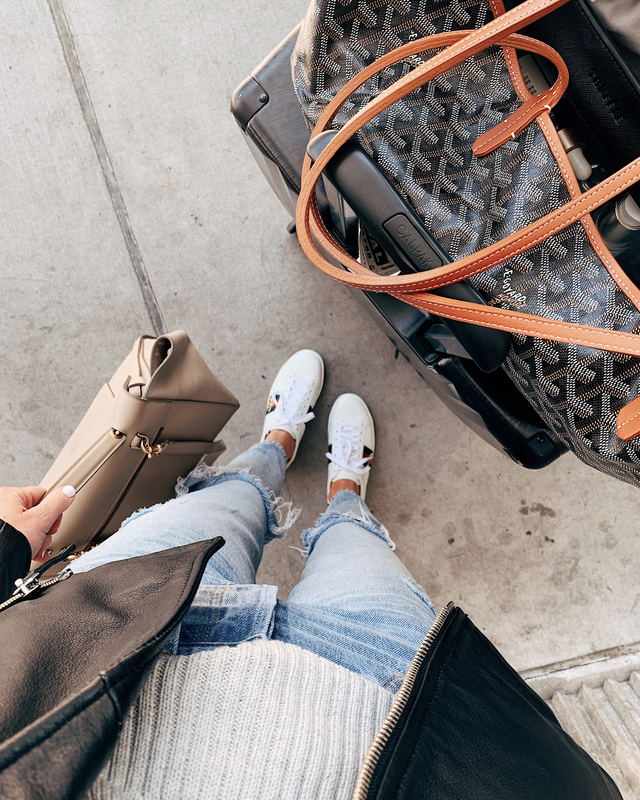 I always like to be super comfortable on the plane, so I always opt for stretchy jeans, sneakers, and oversized sweater, and some sort of layering pieces for warmth like this denim jacket. The other picture is actually from the first day of the trip, but I purchased a new pair of sunglasses, which I'm obsessed with, and wanted to show you guys a close up! 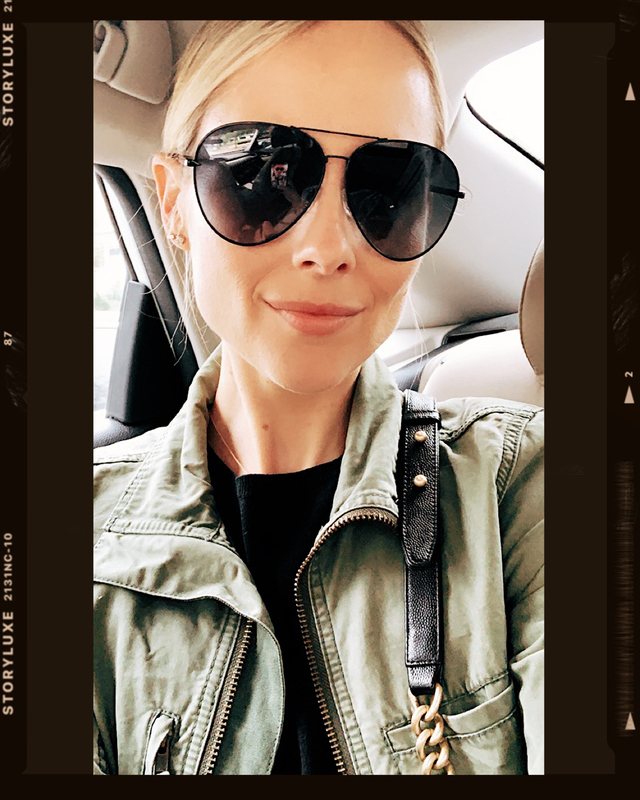 Designer sunglasses for under $200 and they are so chic! Definitely will be wearing these all summer long! Love your style. I live near Dallas. What I really want to know is who colors your and what salon. I answered this is a recent blog post! Just go to the beauty tab on the menu! 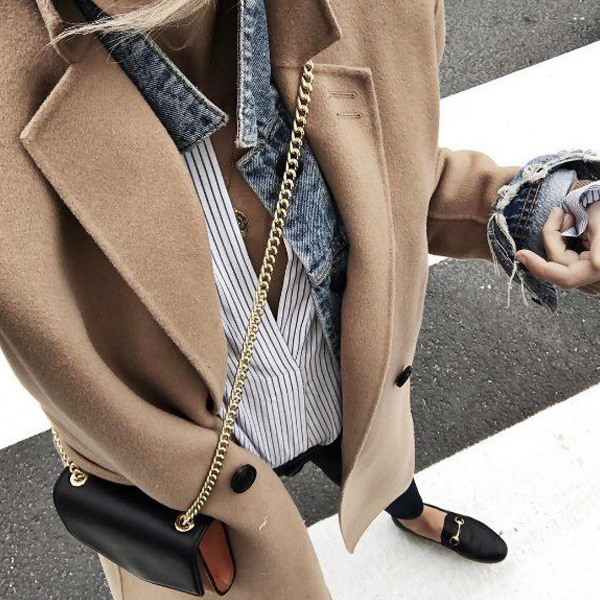 Loving these looks and your smart packing! Wow!Such a creative and convenient packing! And yes, you look so gorgeous in every pic! !